Further to Duvine’s involvement with the University of Surrey’s 5G Innovation Centre (5GIC) to power their 5G testbed. Duvine have now been selected by AWTG Ltd to provided the power capabilities to the new Worcestershire 5G Consortium testbed. Worcestershire Local Enterprise Partnership has confirmed that the county has been successful in its bid for Government funding to test and explore 5G connectivity, in order to revolutionise the way future business will operate both in the UK and globally. 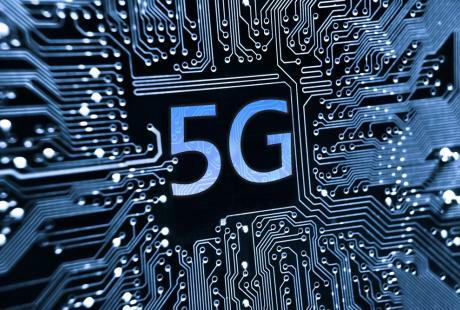 5G is the next generation of mobile technology. When it becomes available in the UK in the next three years, 5G is expected to have a profound impact on the global economy and the way people live their lives. According to the GSMA, as many as 1.4 billion 5G connections are predicted by 2025, as well as a host of new technologies not yet imagined. The Worcestershire 5G Consortium will begin the country’s most comprehensive industrial 5G Testbed trial with a team of 5G specialists and business experts, pioneering the concept of ‘Industry 4.0’. The consortium of partners includes local infrastructure providers, national network operators and research and development facilities. They are: Worcestershire County Council, 5GIC at University of Surrey, AWTG, Huawei, O2, BT, and Malvern Hills Science Park. The 5G Testbed will provide a revolutionary platform for local and national businesses to develop next-generation technology focused on improving the UK’s industrial productivity. Worcester Bosch and Yamazaki Mazak have already been selected to experiment with preventative and assisted maintenance using robotics, big data analytics and augmented reality. QinetiQ, the multinational defence technology company, will use the Test Bed to advance cyber security application, providing assurances on the ‘security by design’ of IoT technology. The installation consists of 5 Power Equipment Rack’s (PER) rated at 48VDC 4.8kW, capable of supplying Base Band Units (BBUs) Transceiver units. The system is complete with its own DC distribution consisting of single pole MCBs, complete with over-current protection of the DC line. AC input distribution is also provided.